KENYA, Africa - The Lake Turkana region of Kenya is known for the skeleton found in the region that dates back to 1.5 million years ago, making it one of the suspected origin locations for humans. Over the eons of cradling human civilizations, the Turkana region has gradually become more and more arid over time to become the drought-stricken area it is today. However, there has been a recent discovery by the United Nations Educational, Scientific and Cultural Organization (UNESCO) that revealed that below the region's surface, there is 200 billion cubic meters of freshwater reserves in an underground aquifer. Furthermore, this vast supply can supply the entire country's population of 42 million people for 70 years! This statistic is an unbelievable figure, as this water source has the potential to completely change the livelihoods of Kenya's 17 million citizens who lack access to safe water. Despite this highly welcomed news, it is imperative that the Kenyan government assures that the water is managed and distributed in an equitable, appropriate manner. The supply has grand economic potential, but the country's leaders should instead look to the human rights potential and ensure that the masses have access to it. Fulfilling people's right to clean water could completely change the lives of millions and improve the standard of living. This is a crucial opportunity for Kenya and the following decisions about the aquifer could play a huge rule in the country's trajectory. 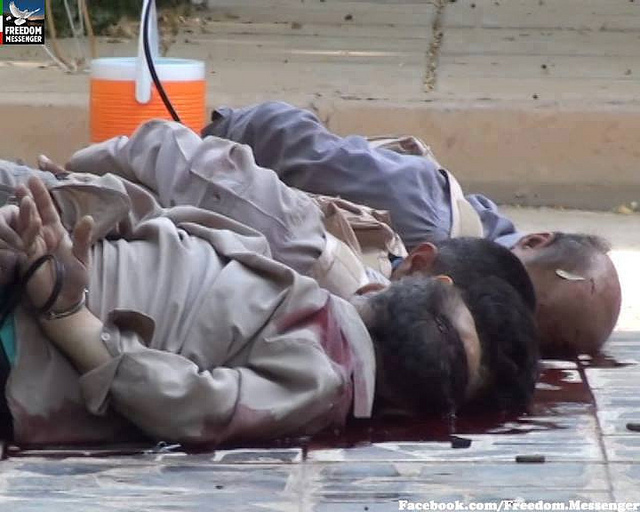 CAMP ASHRAF, Iran - On 1 September 2013, Iraqi soldiers led by a member of the Iranian Revolutionary Guard entered Camp Ashraf in Iraq and proceeded to kill 52 members and take 7 hostage of the Iranian dissident movement, the People’s Mujahedeen of Iran (PMOI). With ties growing stronger every day between Iraqi Prime Minister Nouri al-Maliki and the Ayatollah Khamenei of Iran, an attack on the unarmed residents of Ashraf appears to have only been a matter of time, as the other PMOI camp, Liberty, has already been targeted several times. After eleven days of pressure, Iraq, a staunch ally of Iran’s government, finally admitted on September 12th to having the hostages in custody. Several human rights organizations, such as Amnesty International, have released statements urging action to be taken as the hostages are at risk of being sent back to Iran to face execution at the hands of the Revolutionary Guard. Furthermore, the remaining residents in Camp Ashraf, many of whom were injured in the raid, are being moved to Camp Liberty, which further exacerbates the ongoing refugee situation there. This tense situation has the potential to explode into further violence if further action is not taken by the international community promptly. Otherwise, the Iranian and Iraqi governments may feel emboldened to continue these threatening actions. This incident comes at a critical time in terms of the global agenda as President Obama has given the Ambassador to the UN Samantha Power the mandate to press forward on human rights, as well as Iran being on the agenda of next month’s UN General Assembly meeting. With attention shifting towards Iran in the midst of Syria’s chaos, Rouhani and his leaders should be pushed to explain the attack, ensure the release of the hostages, and assure freedom from persecution for opposition groups. KENYA, Africa - At the close of 2007, Kenya held Presidential elections between Mwai Kibaki and Raila Odinga that resulted in months of atrocious violence and mass chaos. The eruption of killings resulted from the ethnic cleavages between the two candidates, as Kibaki is from the Kikuyu ethnic group and Odinga is from the Luo group. Once Kibaki was declared the winner despite widespread electoral fraud and manipulation, opposition groups revolted at the results and chose to make a stand. However, this resulted in citizens, mostly of opposition Luo ethnicity, targeting Kikuyu citizens and brutally killing hundreds of them. Eventually, some Kikuyus retaliated and murdered citizens of Luo and Kalenjin descent. The few months of violence resulted in over a thousand deaths, and around two hundred thousand displaced persons. This is still a huge issue for the country today as thousands of citizens continue to live in internally displaced persons (IDP) camps that lack proper shelter, running water and basic education and healthcare. One such example is an IDP camp called Jikaze that is in the Great Rift Valley and is about a twenty minute ride from Limuru. I've visited and worked in the camp twice, and have met the most wonderful, loving people who despite having their lives turned upside down, continue to be hopeful for the future. One couple in the camp owned a hotel before the 2007 election, but had it burned to the ground in the violence and went from being well-off to having nothing. Another family went from having acres of fertile land and a profitable farming business to running for their lives and starting from scratch. Some members of the camp lost family members in the violence and will never be able to return to their old home. Now, imagine these Kenyans who have spent over five years healing and rebuilding their lives, to now find out that the Kenyan government will not fulfill its promise to face justice and seek justice for the victims of the post-election violence. This week, the Kenyan Parliament voted to remove themselves from the Rome Statute that would ensure that the national government sought justice and reparations for the hundreds of thousands of victims of the violence. Although it has been many years and many citizens have found a new way forward, they still deserve the justice and help that the government owes them. Without fulfilling their promise, not only are they abandoning their citizens again, but are setting a disappointing precedent for government accountability. On a similar note, the Parliament also voted this week to remove themselves from the International Criminal Court (ICC) in order to avoid many of their prominent leaders' indictment and trials. Considering Kenya's growing economic and regional power potential, it is a nasty setback that the government is moving backwards in reneging on international standards and human rights laws. The international community, including the US, has released statements urging Kenya to fulfill their commitments and remain accountable to its people. LAGOS, Nigeria - Nigeria’s long trek towards large-scale energy market reforms is witnessing rapid progress as the Power Holding Company of Nigeria finalizes the sale of 15 energy companies. 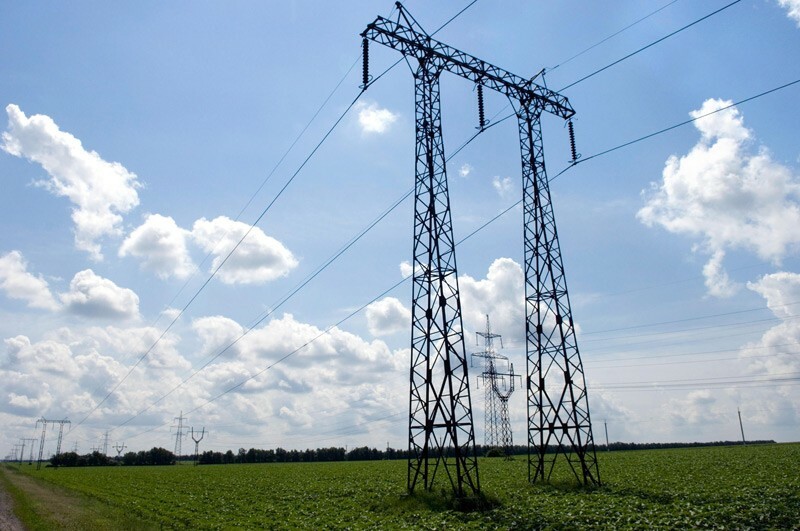 A total of ten distribution companies and five generation companies have been sold to private stakeholders as part of an eight year reform effort initiated by the country’s Electricity Power Sector Reform Act (EPSR). The act seeks to increase private investment into Nigeria’s energy infrastructure in an attempt to address lagging electricity capacity. Brownouts are not uncommon in most Sub-Saharan African states, such inadequacies in power generation and transmission capabilities make it difficult for businesses, particularly manufacturing industries, to operate efficiently. Publicly owned power companies faced large efficiency troubles in an atmosphere where subsidized tariff rates did not generate enough income to prevent power companies from operating at a financial loss. Such realities led to wide scale inefficiencies in energy companies, including poor maintenance which reduced overall energy capacities. Low energy prices also made the market unattractive to private investment since companies could not expect to witness economic returns on any investments made. To address pricing distortions, Nigeria implemented the Multi-Year Tariff Order (MYTO) to gradually increase the cost of electricity, allowing the sector to become profitable for businesses to operate in. To date, Nigeria has netted $2.73 billion through the sale of its energy assets. This money joins $1.6 billion in international loans which is slated to finance, among other things, new private-public partnerships and investments into new energy and gas infrastructure. Nigeria’s reform efforts have not only attracted international bidders for public energy assets, but have boosted investor confidence as well, encouraging new energy construction efforts. The U.S. company General Electric has agreed to invest $1 billion over five years into a new manufacturing and assembly facility in the city of Calabar; a vote of confidence in Nigeria’s future economic prospects. General Electric has also partnered with the Nigerian firm Geometric Power Limited to construct a new 450 megawatt thermal power plant in Aba. With over 162 million citizens, Nigeria is Africa’s most populous country, and one of the few in Sub-Saharan Africa with fairly large domestic consumer markets. This makes the country a prime location for the development of local small and medium scale businesses. Healthy domestic markets allow companies to form and compete with generally larger international companies. It also allows for infrastructure and service grouping known as economies of agglomeration to take place which reduces operational costs. Power sector limitations and unreliability have traditionally bogged down Nigeria’s desire to promote growth outside of its considerable oil industry. With a more inviting and stable power sector, investor risks should decrease over time along with operational costs despite higher energy prices; allowing Nigeria an opportunity to better diversify its economic growth.